$205 - Includes 1 mix, 50 cups, straws, salt. This machine rental is perfect for parties of 50+ guests. 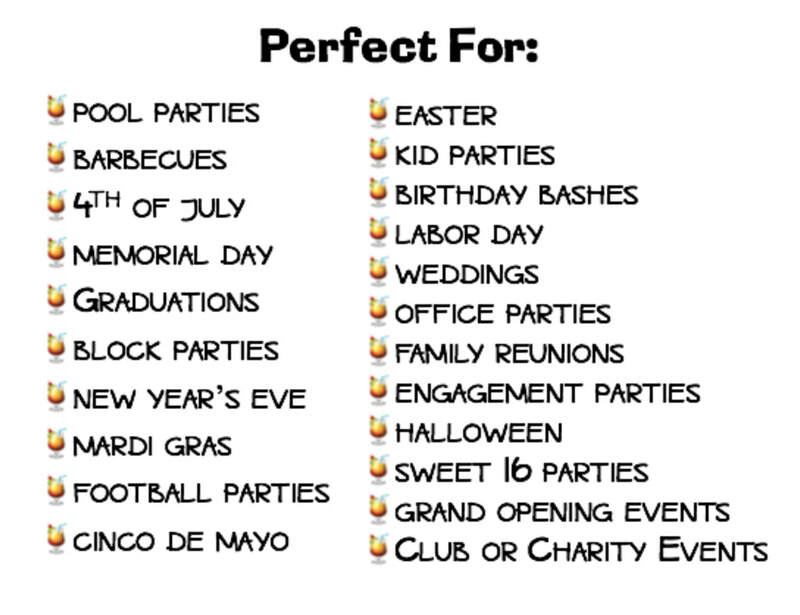 For parties over 250 guests multiple machines can be rented at a discounted rate. One mix makes about (70) 9oz drinks. Machine is on a industral cart and stands approx. 5 ft tall. This machine rental is perfect for parties of 75+ guests. Freeze time is 4 hours. $350 - Includes 2 mix, 100 cups, straws, salt. This machine rental is perfect for parties of 100+ guests. 25+ FLAVORS We have over 25 flavors to choose from. From your typical lime margarita flavor to strawberry daquiri to frozen Jack and Coke. 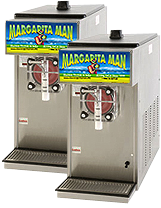 You can make over 100 different types of frozen drinks with the machine rentals! KID'S SLUSHIES The machine rentals are not just for the adults, we have over 20 different flavors kids love. You could even rent a machine and add Big Red! STAFF AVAILABLE Ask about our TABC certified bartending staff. Hourly rates for bar staff are $30/hr with tip jar or $45/hr no tip jar (4 hr minimum required). Q: How much is delivery with the margarita machine rental? A: Submit a QUOTE to get estimated delivery charges. Q: Do I need to clean my rental machine? A: We clean all margarita machine rentals upon return. All we ask is the machine be completely drained upon pickup. Also, we are the only margarita machine rental company with a 100% health score. Hands down the best choice for our party! Owner, staff and drinks were ALL AMAZING! We will definitely be doing this again. They have soooo many flavors to choose from (I may be determined to try them all). Great job! Highly recommend to anyone and everyone!